It is our aim to design and build to meet and where appropriate exceed our customer’s specifications. This includes ensuring that we meet and exceed any relevant industry-specific regulations or standards. All employees are encouraged to take responsibility for the quality of their own workmanship and to work with their colleagues towards the goal of “zero defects”, a philosophy emphasised throughout the company, not just limited to those directly involved with manufacturing output. We have a dedicated on site Quality Manager who continuously reviews our practices and procedures to ensure that we maintain a high standard of product quality and we constantly look to improve our systems towards the goal of “zero defects”. Our Quality Manager is on hand to deal with any customer queries on a one to one basis. At UK Electronics we have our own in-house IPC 610 Trainer who trains our production operatives to IPC-A-610 class-three standards. The standard is recognised worldwide and supports the electronic manufacturing process. The IPC (Association Connecting Electronic Industries) previously known as the Institute for Printed Circuits created the standards to ensure that the products built by electronics companies are manufactured to the highest standards. In order to provide a solid foundation from which it can assure its customers that goods and services will be of the highest quality and reliability, UK Electronics has implemented a Quality System accredited to the internationally recognised rigorous standards of ISO (the International Organisation for Standardisation) 9001:2015. We are externally audited on an annual basis to ensure we maintain the high standards required. This accreditation has been held by the company for over 10 years. The standards relate to the methods used to produce the products and to control the services that UK Electronics supplies to their customers ensuring they consistently receive a high-quality and first-class service every time. Adherence to this Quality System is mandatory throughout the Company. The Quality Manual and Quality Assurance Procedures form the basis of UK Electronics commitment to both customer satisfaction and sound business practice. By following these procedures, strong relationships with customers and suppliers can be built upon clearly defined requirements and responsibilities thus ensuring that performance expectations are met. The continuous review of our internal procedures and our detailed Quality Management System along with regularly improving our practices guarantees you can be certain you are getting the outstanding quality you rely on. In May 2014 UK Electronics received an accreditation for ISO 14001:2004. We recently transitioned to ISO 14001:2015 and will be audited on an annual basis along with our ISO 9001:2015 accreditation. At UK Electronics we are committed to the protection of the environment and to the promotion of sustainable development. All of our employees are encouraged to reduce, reuse and recycle as much waste as possible. Over the past 15 years we have been working to reduce the number of potentially harmful chemicals we use in our production process, for example, we have changed to water based flux, water based conformal coating and to lead free and colophony solders. Additionally, we have been fully RoHS compliant since the directive came into place in 2006. We are a verified supplier for The Railway Industry Supplier Qualification Scheme (RISQS). RISQS will help UKE to work on projects within the GB rail industry, bringing our highly regarded service and competitive pricing to those working within this rail industry. Since January 2006 UK Electronics have been RoHS compliant (the Restriction of the use of certain Hazardous Substances). The enforcement of RoHS for UK based companies came into force from 1st July 2006. Hazardous materials are prevented from entering landfill sites due to the RoHS directive, this significantly reduces the environmental issues that have previously occurred. At UK Electronics all of our electronics waste is disposed/recycled by an external company in line with the WEEE directive (Waste Electrical and Electronic Equipment). UK Electronics recognises that its activities have an environmental impact and it is a Company objective to minimise this effect through having an effective Environmental Management System. We have recently gained ISO 14001:2015 accreditation, moving forward we will be audited on an annual basis along with our ISO 9001:2015 audit. We are committed to the protection of the environment and the promotion of sustainable development. Endeavour to prevent pollution, reduce waste, encourage recycling and reduce energy consumption. Monitor and examine our environmental performance and implement continuous improvement. Meet the requirements of all relevant environmental legislation. All rubbish and debris is removed from UK Electronics premises and transported to a designated waste / recycling station. We have a facility for the disposal of all waste and in particular waste that is hazardous to the environment such as toxic waste, waste oil, etc. These items are disposed of in line with local environmental regulations. At UK Electronics we also recycle all our outdated electrical equipment and scrap circuit boards under the WEEE directive (Waste Electrical and Electronic Equipment). UK Electronics have been working to reduce the number of potentially harmful chemicals it uses in the production of its customers products i.e. 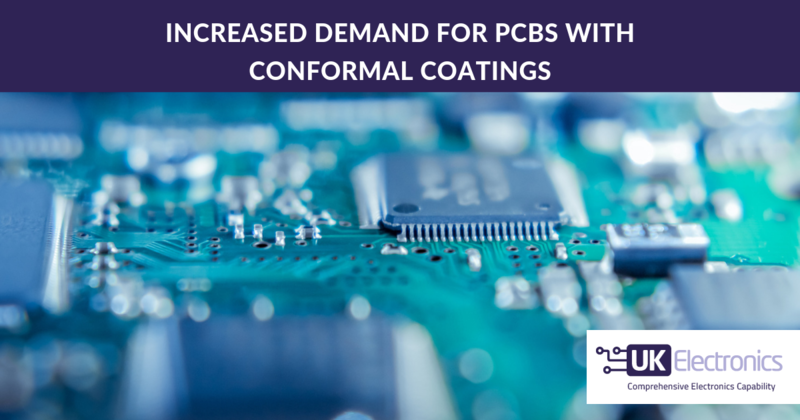 changing to water based flux, water based conformal coating and lead free and colophony solders.